This belt is 34mm (1⅜″) wide and is made from high quality Italian leather and has a single leather belt loop. It has a 2 prong nickel plated roller buckle and is made from tough zinc alloy. 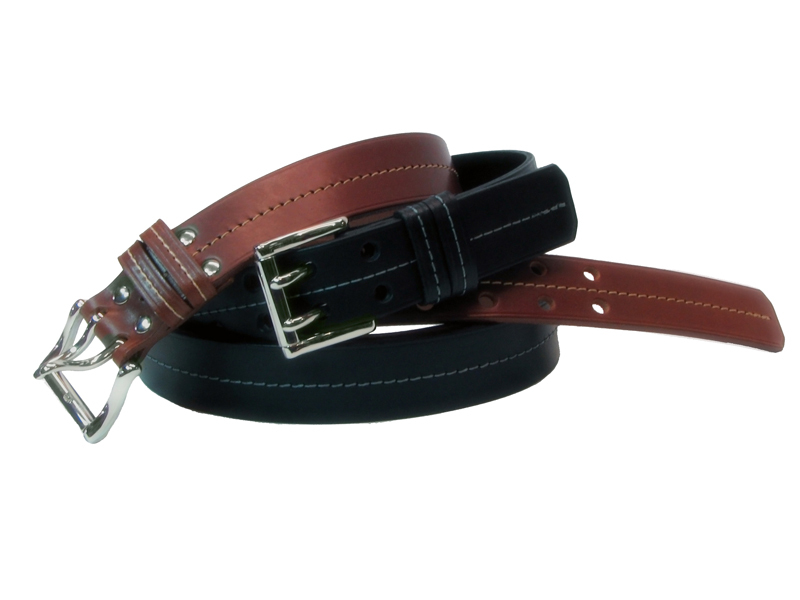 The belt has 2 leather keepers that feature a heavy contrast stitch along the center.